Managing anger does the effective by fostering cooperation crucial for problem solving, creating beneficial balance in our lives, reducing a chronic state of tension and arousal, attending stress, amongst other benefits. We experience the emotion of anger when we believe that things must not be in a particular way or that something is bad or unfair. The outburst of anger is often attended by a perception of threat and feelings of insecurity. Managing anger is quite important because prolonged or intense anger not only causes us to lose our patience, act on impulse, become aggressive or say things that we later regret, but it also puts us in a state that drains our energy, impairs our concentration and interferes with our ability to be happy and to have good relationships. An occasional outburst of anger is not usually a problem provided that our response is in proportion to the situation. The intensity and the duration of our anger and the way we behave when we are under its influence determines whether our response is reasonable or not. Effectiveness in managing anger creates a measure of beneficial balance in our lives as we no longer devote a major part of our attention on perceived violations and injustices. Also, managing anger for good means a step-down in a chronic state of tension and arousal and the attendant stress. To continue with, managing anger takes us out of aggressive behaviour that alienates others from us. Silence or withdrawal, a passive aggressive strategy meant to hurt another, is also part of this aggressive behaviour. For all good, managing anger fosters a collaborative atmosphere conducive for good communication, negotiation and problem solving. Managing anger enables us to secure the cooperation of others, crucial for problem solving, not compliance that does not handle well over long-term. The strategies outlined are useful in managing anger and letting go of it. Sharpen your awareness to recognise the physical sensations that signal the onset of anger and then use them as cues to take control using the “Stop-Breath-Leave Technique.” Physical sensations that often signal the onset of anger include hot, flushed feeling, pounding heart, trembling hands, sweaty palms or the clenching of the jaw. As the sensations begin to manifest, say the word ‘Stop’ inside your mind or out loud and visualise a stop sign or flashing lights at the same time. The aim of this exercise is to short-circuit your automatic response and rouse yourself up to the reality of your power to choose differently. Then, take in a few deep breaths to lower your arousal and distract your attention away from any perceived injustice or undesirable situation. To continue giving sail to the practice, get yourself up and leave. Move your physical self away from the irksome situation. It may be expedient and appropriate to step outside for a walk or to engage in any other form of exercise. Going to the bathroom or another room to take some long deep breaths is also effective in this regard. To practice these steps when the urge to lash out is at its peak will keep you from doing something that you will regret. The physical exercise reduces your arousal and agitation, and also helps you to work off the extra energy brought on by your anger. Once you have removed yourself from the challenging situation, use goal-focused thinking to affirm the things that matter to you in the current circumstances. 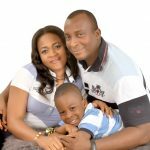 The goal to get on well with people, to have happy, well-adjusted children, to have a good relationship with your partner, to be successful in your career, to avoid unnecessary stress, to enjoy your life, to care for your health, are all worth attending to. In the name of being steadfast to this practice, remind yourself how getting angry costs you your goals. Take more time-out to deactivate a more prolonged explosive anger. The opportunity to calm down also comes from taking additional time-out in activities like gardening, listening to music or making some unrelated telephone calls. Doing so also enables you to focus on your goals, plan some constructive solutions and avoid saying or doing things that you’ll regret later. To increase your ability to stay in control, if you are prone to angry outbursts, plan your time-out activity. The awareness of your anger surfacing is the cue that prompts you to tell yourself that you need a time-out. Then, proceed to your planned or prepared activity. Engage in physical exercise to use up the extra reserves of energy generated by anger and to lower your level of arousal. After a physical exercise regimen, the level of physical arousal drops significantly and the body relaxes. To reduce the level of our physical arousal lowers the intensity of our anger. Furthermore, vigorous exercise enhances our sense of well-being by stimulating the production of endorphins – our body’s natural opiates. To avoid drinking excessive amounts of alcohol is wise. The disinhibiting effects of alcohol increases the likelihood of an aggressive outburst. The chances of succeeding at managing anger is enhanced by avoiding the consumption of large amounts of caffeine and other drinks containing caffeine. This is a good counsel especially for those who become easily aroused. Through the medium of slow, deep breathing, we can lower the physical arousal when we get angry. To deepen our level of relaxation, it is often effective to repeat calming words like ‘relax’ or ‘letting go’ each time we breathe out. Look for aspects of a challenging situation that is within your control. It is in order to ask yourself the question: “what is the best action that can resolve this problem.” In line with this idea, your constructive actions could give event to writing a letter or initiating a discussion to assertively air your point of view. The aforementioned productive actions douse the flames of anger rather than fuel it. The wisdom of doing a cost/benefit analysis of staying angry is worth attending to. Often times, we instinctively want to hold on to anger because of a perceived injustice. We choose not to let go of our anger because we don’t want to let the culprit off lightly. So, our unforgiveness ends up fueling our anger. Doing a cost/benefit analysis of staying angry enables us to weigh up the costs and benefits of staying angry. From the columns below, the costs of staying angry far outweigh the benefits. * I’m justified to feel angry. It feels right. *The issues underlying my anger give me and my friends something to talk about * It is distracting to me and takes up valuable time that could be invested in thinking about more worthwhile things. *It churns up my stomach and upsets me when I think about it. *It robs me of a good night’s sleep since I lie awake thinking about it. *It fills me with debilitating feelings whenever I see my perceived antagonist. *It makes me irritable and cranky and hard to live with. *It stops me from moving on to the next phase of my life and making valuable progress. There’s so much waste of time and energy involved in nursing anger. In view of the high cost of nursing anger, one could find it of great essence to employ one of the stated means of managing anger. To go along with, identify and challenge anger-producing cognitions or perceptions. Anger frequently stems from negative thinking. The habit of preoccupying oneself with what has gone wrong or the bad intentions of others fans the flames of anger. 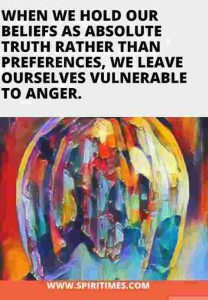 When we hold our beliefs as absolute truth rather than preferences, we leave ourselves vulnerable to anger. Flexibility helps us to accept that in the real world, people will not always meet our expectations. Some common beliefs that create anger are tabulated below. *People should always live up to the expectations of what is right. *The world should be fair and people should always put up ethical and decent behaviour. *I should be accorded fair treatment always. *I shouldn’t be inconvenienced on account of other people’s actions. *people who do horrible and wrong things deserve to suffer for their sins. Most times, our expectation of justice and fairness does not match with what happens in the real world. If there is a chance to resolve an injustice, we should latch on to it and engage in constructive problem solving. On the other hand, if the situation is something that you cannot fix, it is psychologically healthy to accept it. We can do this by identifying and disputing the perceptions or beliefs responsible for fuelling the anger. Logical disputing or coping statements for managing and releasing anger could take the form of the following statements tabulated hereunder. *People will do what they want according to their values and beliefs; my expectations will not always be honoured. *I will meet unfairness and injustice from time to time, because the world sometimes appears not be fair. *People including myself behave imperfectly sometimes. Although I don’t like it, I can live with it. *My goal is to act constructively, not destructively. *I focus on making my beliefs to reflect more of my Wholeness and letting go of things I can’t control. *I take control by keeping calm. *The interpretation of justice differs from person to person. Avoid black and white thinking. The tendency to see people and situations as either good or bad, right or wrong, that is black and white thinking, leaves us prone to anger. It is important to understand that our point of view is not necessarily the correct or definitive one. It is one out of the several ways of looking at a situation. Do away with the blaming game. Anger and resentment often accompany blaming. Accepting that each individual has his or her own unique set of perceptions and beliefs that motivate them to behave in a certain way, helps us in managing anger and letting go of it. Remember that people’s behaviour is not really about us. Others’ behaviours reflect their own particular personality, life experiences and communication style. So, it is fruitless to perceive an undesirable behaviour as a personal attack. Nursing angry and resentful feelings on that account is meaningless. Have in some empathy and see a situation from the other person’s point of view. We often trade in our anger for compassion when we develop some understanding for someone we initially disapproved or disliked. Understanding how it is for them can make you to hold back your judgements and douse the flames of anger. By understanding others without necessarily liking their behaviour, we release ourselves from blaming and labelling them, and taking things personally. Our efforts come to good in managing anger when we examine our perceptions or cognitions and our beliefs and when we communicate in a calm non-threatening manner. We wilI feel right in avoiding the destructive behaviours of anger that alienates others and drains our energy. We all get angry, but it is so important to be able to control it. Being able to stop and breathe and think through it before blowing up is so important! Anger is an awful thing to experience, it can bubble up inside you and almost literally make you see red. Managing to get a grip of it and deal with it is so good for a person. This is a super useful post and so educational. Thanks for highlighting all the points how to manage our anger. sharpen our aweareness to detect our phycical sensation is one of the key. Now, this is such a great post and encouraging too. I’ve agree to everything you’ve said, we should always keep in mind to manage our anger. It will make us a better individual for others. Yes! We are in charge of how we respond to situations. Anger is exhausting! This is a lesson I learned the hard way. Managing anger is so important and something we can all learn from. This is great. Too many of us allow anger (which is a natural emotion) to overtake our lives. It’s all about learning how to manage it so it’s not destructive. Its very important to control anger, and especially when our loved ones to bear the brunt of it. Its very harmful its not useful to either of them. it brings about lot of bad emotions, which is not good for either of them. What an awesome post! Anger management is one of the hardest things to master, yet it is really important not to let anger gets in the way of healthy relationships. I agree about avoiding black and white thinking, and stop blaming. Your point about “people’s behaviour is not really about us” is also an interesting reminder. Thank you for sharing this, dear! Such a good read. Slow and deep breathing always works for mw when im angry. I have a couple people in my life that would benefit from this article. This is also a great resource for myself as a teacher to give students the tools to manage their anger. Very well written. A much needed topic and much thought off post. Can really use the tips. Thanks for sharing. Anger is a hard thing to deal with. It’s definitely something that requires focus and attention. I try to remove myself from the situation and go for a walk, get some fresh air and not react right away to the situation. It’s not easy, ever, and I feel like I never really get it right. This is so great! Thank you for sharing such a valuable information. This is such an wonderful post. Such great information, anger is pretty hard to handle. Thanks for sharing! Yes! such good advice I wish I would have learned earlier in life! It always pays to be the bigger person! Some points I would like to add too..
1) In the heat of the moment, it’s easy to say something you’ll later regret. Take a few moments to collect your thoughts before saying anything — and allow others involved in the situation to do the same. 2) Once you’re calm, express your anger. 3) Physical activity can help reduce stress that can cause you to become angry. If you feel your anger escalating, go for a brisk walk or run, or spend some time doing other enjoyable physical activities. 4) Timeouts aren’t just for kids. Give yourself short breaks during times of the day that tend to be stressful. A few moments of quiet time might help you feel better prepared to handle what’s ahead without getting irritated or angry. 5) Instead of focusing on what made you mad, work on resolving the issue at hand. Remind yourself that anger won’t fix anything and might only make it worse. 6) Don’t hold a grudge. 7) Lightening up can help diffuse tension. Use humor to help you face what’s making you angry and, possibly, any unrealistic expectations you have for how things should go. Avoid sarcasm, though as it can hurt feelings and make things worse. 8) When your temper flares, put relaxation skills to work. Practice deep-breathing exercises, imagine a relaxing scene, or repeat a calming word or phrase, such as “Take it easy.” You might also listen to music, write in a journal or do a few yoga poses or whatever it takes to encourage relaxation. Lastly, I would say learning to control anger is a challenge for everyone at times. Seek help for anger issues if your anger seems out of control, causes you to do things you regret or hurts those around you. Anger is most definitely an issue I struggle with a lot in recent times. I hope I am able to learn a thing or two from your advice. I definitely need to practice more patience in general as a parent. It’s tough to be stretched thin all the time and then have your patience tested. I do need to manage it. It took me a long time to control my anger issues. It tends to be very hard these days with a stubborn daughter, but I am managing. I really need to work on this more. Often my mouth gets ahead of my brain and I end up saying mean things that I regret. I used to have quite the temper. I am happy to say my anger is 100% under my control! Being more aware of your anger triggers and knowing how to control them is really important. We often become wound up in our emotions and let our anger dictate our actions. This is so true. I’m always trying to encourage those I love to let go of their anger. I do believe it holds us back from actually producing any positive results in life. Also, when you’re angry, it’s so much harder to see clearly. Physical activity is great for getting out the anger. Last year I taught children who often had anger issues and getting them outside and moving always helped with dispositions and attitudes! This is such a great post. I know a few people who struggle with this and I think it’s something that can definitely be worked through. This is a helpful post! I sometimes can’t control my anger. I need to be rational and avoid black and white thinking from now on. I am a pretty calm person, but I can recognize the effects of my anger and frustration. Being in control of my emotions is important to me. Very interesting article. WE all need to know how to manage our anger.